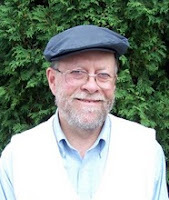 I recently asked Maine author Tom Seymour to write a guest post for the blog. I figure at this point many of you are probably getting burned out from my continual rants, sarcasm and unbelievably tall tales and could use a break! Tom is an inspiration to me as a writer and his regular columns in The Maine Sportsman Magazine are always filled with excellent advice and interesting outdoor tidbits. I am perhaps a little bias, as he writes the magazine’s “Washington County” column, a region near and dear to my sporting heart. Tom maintains the blog Wild Plants and Wooly Bears and is a freelance writer, journalist and columnist. In addition to his writing for The Maine Sportsman, he also maintains a column in Maine Food and Lifestyle Magazine called "Wild Edibles”. His book credits include Foraging New England , Fishing Maine , Hiking Maine , Birding Maine for Globe Pequot Press. Wild Plants of Maine and Hidden World Revealed by Just Write Books of Topsham, Maine and Tom Seymour's Maine, A Maine Anthology by iUniverse Press. The Maine Sportsman also has published a collection of his wildlife columns. All books (except for Hidden World Revealed, Wild Plants of Maine and Maine Wildlife) are available through the links above, Just Write Books, in bookstores and online. In his “spare” time, Tom also revises and edits Maine Off the Beaten Path by GPP. Many thanks Tom for taking the time to craft a post for the blog! For me, no day spent fishing, clamming or walking in the woods ever becomes a total washout. Because no matter what, some interesting plant captures my attention. Often, the plant has something else besides physical beauty to offer. As a forager, I make it a practice to harvest wild edible plants as often as possible. So whether or not trout cooperate or white perch agree to bite, I usually return home well compensated for my efforts. Anyone can do as I do, too. It doesn’t take much effort, only a desire to learn and perhaps a few books on the subject. Maine offers a stunning array of interesting and useful wild plants and an encounter with an especially desirable species can make for a memorable experience. During the growing season, which in my part of the Pine Tree State begins in early April and extends through September, I always keep a certain few items in the trunk of my car. These include a basket (for mushrooms), one or two canvas bags (for plants) and gloves (for harvesting such prickly items as stinging nettles and beaked filberts. It makes sense to carry a hand trowel, too, just in case an unusually productive stand of groundnuts presents itself. I also like to have a few sandwich bags on hand just in case I encounter some desirable plant with ripe seeds. So armed with these simple tools, I am ready for whatever the day might offer. Of course I do have an idea of what to expect, since each season has its own delights. Like cultivated vegetables, wild edible plants come and go according to a fixed schedule. Just as radishes and lettuce precede tomatoes, dock and jewelweed reach a useful size well ahead of Indian cucumber or hen-of-the-woods mushrooms. In addition to edible wild plants, wildflowers have always captured my attention. These range from the ethereal and exotically-fragrant twinleaf to New England asters, the flowers of which often appear in captivating shades of rose or magenta. So even if my day afield doesn’t include something to take home and eat, our wildflowers always add visual appeal. And for sure, while beauty isn’t an essential requirement for physical life, it certainly adds to our well-being and enjoyment. Even now, in midwinter, with snow flying and temperatures holding below freezing, our wild plants offer an escape from seasonal “blah’s.” Now, with leaves gone on deciduous trees and shrubs, plant identification offers an exciting challenge. So with guidebook and magnifying lens in hand, I like to walk in the woods and along edges of fields, examining the trees, shrubs and wild plants and trying to nail down their identity. Even annuals and perennials leave tangible clues to their identity. The dead stalks of goldenrods, of which Maine has many species, have dried flowers clinging to their stems. Edible plants such as wild evening primrose are particularly noticeable, given that their dried, branched stalks and vase-shaped seedpods remain above the level of accumulated winter snows. Everyone, no matter where they live, has access to Maine’s useful and interesting wild plants. Establishing a familiarity with them, once begun, can easily become a fulfilling, lifetime pursuit. Wild Plants of Maine, A Useful Guide , Tom Seymour, Just Write Books, Topsham, Maine, 2010. Of course I can’t resist listing this, my own book here. Besides, it really is a good and useful guide to our wild plants. Stalking The Wild Asparagus , Euell Gibbons, also by McKay, 1962. These and Gibbons’ other books are available as reprints. They are classics, industry standards. A Field Guide to Wildflowers , Roger Tory Peterson, Houghton Mifflin Company, Boston, New York, 1968. I always say that one good line drawing is worth a thousand fuzzy photographs. And the line drawings in the Peterson series are accurate and precise. Great idea Rabid. I have a number of Tom's books. When I worked at The Republican Journal here in Belfast, Tom wrote a weekly outdoors column. I really enjoy his work and am now a follower of his blog. Thanks for the post! Interesting post, does Mr. Seymour offer field trips to augment his efforts? Yes, I do host field trips. I even take people to the shore in summer...there are lots of great wild edibles there too. But for most things, May through June are best months. My phone is (207) 338-9746 and my email is tomgs@gwi.net. WE are Going to DIE!